Junk Food is designed to look appealing in order to entice us. For better or worse junk food is available worldwide and can easily be picked up at your local convenience store. You may love a few snacks here and there, but do you know exactly what goes into this type of food? As well as savoury and sweet snacks the majority of fast food restaurants offer food with very little nutritional value. Here are some facts about junk type food to help you decide whether your diet needs tweaking. Fast food restaurants are popular for a number of reasons. These establishments are designed to offer us warm food at a rapid rate, hence the name ‘Fast-Food’. 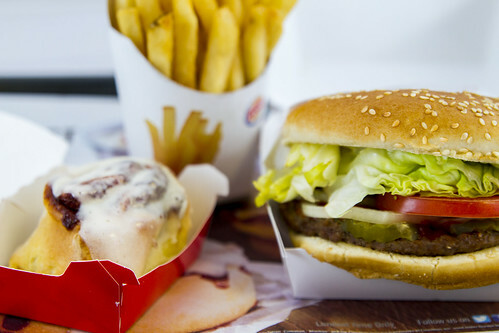 KFC, Mcdonalds, Burger King- These are just a couple of well known fast food companies. All of these restaurants offer convenient food in no time at all. So, if you are leaving work late and you feel somewhat peckish then picking up a quick meal may seem appealing. However, there are many disadvantages as to why this may not be such a good idea. Fast food is actually low in saturation value this basically means that this food does not satisfy your hunger pangs for long. This is mostly why people tend to overeat. Your body requires certain nutrition to keep it working properly. If you provide your body the nutrients it needs then you’ll be fine. Packing your body with fatty fast food means you aren’t getting enough of the good stuff such as vegetables and fruit. Like any other food, if you eat chocolate moderately then you won’t have any bad effects on your health. Here are three facts which may make you think twice about eating that chocolate. Contains a high level of sugar. May Contribute to lower bone density. Chocolate also has benefits such as helping you to relax and also has the ability to raise good cholesterol. Provided that you are cautious in the amount you consume, you should be able to reap the benefits of this sweet sugary snack. Sugar has a huge impact on obesity problems, sweetened drinks tend to be consumed daily. Sugary beverages can cause problems both with your weight and your mood. If you drink too many sugary drinks then you will find you become lethargic and lack energy. High calorie snacks are undoubtedly a main cause of weight gain. Snacking in front of the tv with crisps and chocolate may cause overeating. Studies show that diets high in fat can decrease metabolism levels in less than a weak. Overeating on snack food can cause you to be sluggish and lack a level of concentration which may cause problems at work/school. Junk food is more of a threat to children as they are not aware of the health problems junk food can have. Although snacks may look appetising they can lead to over indulging which will of course cause obesity problems. Regularly consuming junk food can cause problems such as depression, obesity and low self esteem. Their school work may also be affected as they will have a problem concentrating well. You needn’t deny your child a cheeky snack every now and again but it is highly recommendable that a regular junk food diet should be avoided. It is important to look after your childs well-being and ensure they don’t face any self esteem or depression problems as these can have a great negative impact. Quitting junk food will have long term health benefits. You will be able to any excess weight and your mood will be greatly improved. Not only will you benefit but perhaps you could make a change for your loved ones too. You will not feel sluggish and run down anymore and your body will be full of energy. Once you have gotten rid of the bad types of food your body can now concentrate on providing you with the right vitamins and nutrients you need. Quitting junk food can be easy. If you keep the junk food out of your house then there is less chance of you eating any. Stay strong and do not become overwhelmed with the all of the junk food advertisements. Keep your mind positive and you will soon be feeling the benefits of a healthy lifestyle. Jennifer is a restaurant owner and only provides the healthiest of foods. She is also aware about restaurant marketing and knows the importance of restaurant promotion.